LOOM KNIT HARVEST BEANIE | Loom Knitting by This Moment is Good! This Slouchy Beanie will keep your head warm and keep you looking fashionable for fall. It is made on the green or purple round Knifty Knitter Loom (or any loom of your choosing) with Harvest colored yarn. 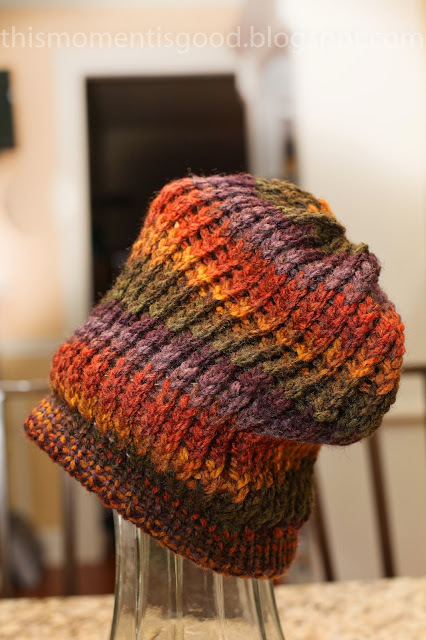 It would look great in any color so feel free to knit it up however you like! It takes a few hours at most to finish and would make a great gift. 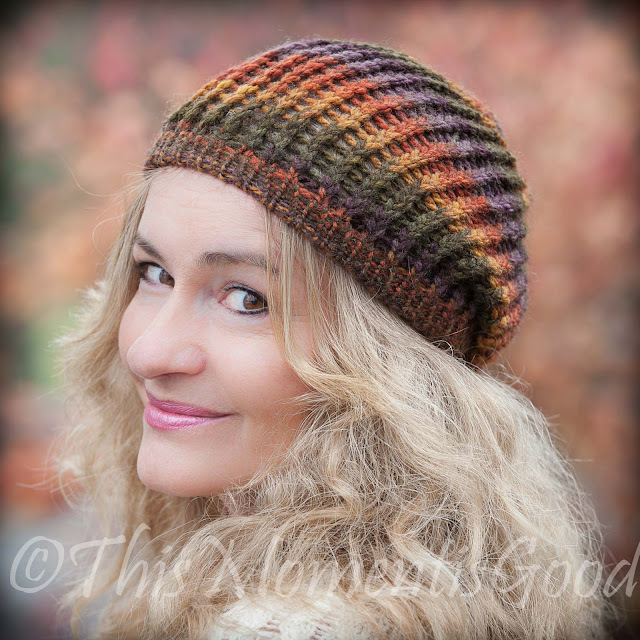 If you prefer a longer slouch to your hat see my earlier post for the The Perfect Slouch Hat! Disclaimer: I have made every effort to ensure that these instructions are accurate and complete. I cannot, however, be reponsible for human error, typographical mistakes, or variations in individual work.